With a price of around $100, the Bounty Hunter Tracker IV is one of the best affordable metal detectors on the market. It has many features that even more expensive models do not have and offers a great value for your money. 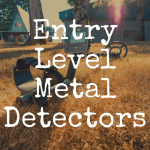 Below, we offer some valuable information on the features of several metal detectors so you can choose the detector on the market for your needs. 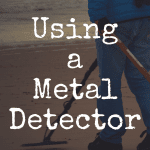 Now, before you start your search for a new metal detector, ask yourself the following questions so you’ll get the perfect machine for what you want to do. What do you want to look for? Are you searching for only coins? Jewelry? Or are you excited to find anything when you are starting out? Where do you plan on searching? 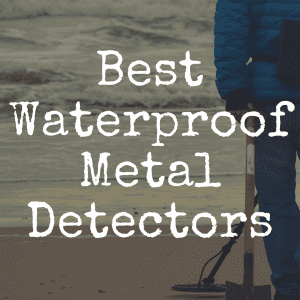 If you are planning to hunt on a beach or near water, you need to be sure your metal detector is water-proof, not just weather proof. Anyone who is planning to treasure hunt as they dive needs to purchase a detector that is submersible to certain depths. Do you like fancy gadgets or want a simple model that you can learn easily? Are you comfortable changing settings or would you rather have a detector that does many of the settings automatically? How important are warranties? Will a one-year warranty be okay or do you only want one with a lifetime warranty? 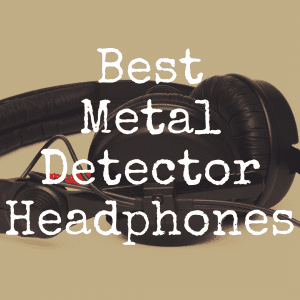 With so many metal detectors on the market, it’s hard to choose just one. Our information will help you make an educated choice so you can purchase your metal detector with confidence and get ready to search. The Bounty Hunter TK4 is one of the most popular metal detectors on the market because it is so affordable and easy to use. This model is a “turn on and go,” model which means it is so easy, you can simply turn on the machine and use it immediately. You won’t need to spend a lot of time reading a manual or watching a DVD to know how to use it. All you need to do is set the discrimination and sensitivity levels and you are ready to start treasure hunting. Often, it is sold for a little less than $100. It features automatic ground balancing and only weighs 2.9 pounds. A lightweight machine is very important, as even three pounds can get heavy after several hours of use. Two knobs are all you need to use to change your discrimination and sensitivity levels. The Bounty Hunter Tracker IV also has three different modes – full discrimination, all metals or tone discrimination – so you will really hear a tone for what you are looking for. This is really important if you don’t want to keep digging up trash. The Bounty Hunter Quicksilver is another turn on and go metal detector. It only has a few settings that you need to change and you are ready to start searching. It only weighs 2.8 pounds and is designed for comfort. The display is easy to use with just a few buttons for you to learn. At a price of a little $100, it is one that you can use to learn and then upgrade later. The Quicksilver does have a few negative things to consider. It cannot detect much deeper than four inches and doesn’t work well in soil that is highly mineralized. It also doesn’t have as many features as some of the other metal detectors on the market. The Quicksilver is marketed as a detector for beginners, but you will probably find out quickly that it doesn’t have all of the features you want. The Bounty Hunter Discovery 1100 is one of the lightest metal detectors (2.5 pounds) you can purchase. It has a 7” water-proof coil that can be easily changed for a larger one. Automatic ground balancing is another important feature of this metal detector and it is designed as a turn on and go model. You can simply take it from the box and start searching for treasures in your backyard. This detector has an easy to read LCD display. It features a push button discrimination control and a simple depth control so you can see how deep the object is. Another item is the three segment digital target ID system. You can usually find a Bounty Hunter Discovery 1100 for around $150. The Garrett Ace 250 is an awesome metal detector. It has a 6.5” by 9” coil that is water proof and can be easily changed for different sizes. The control box has everything within easy reach of your fingers and the entire machine was designed with your comfort in mind. It has an external speaker or you can use headphones with it. This unit usually sells for around $250 but the features it has are often only seen on metal detectors in a much higher range. It has a huge LCD screen, three push pads and three adjustable pads. It is really easy to operate and has many controls that you may think you won’t need, but you will after you learn to operate the detector. This detector has a 12 notch discrimination so you can eliminate trash signals. It also has an all metal non-motion pinpoint ability so you can find the exact location of your treasure. It even has eight levels of sensitivity and three tone target ID. It is simple for you to choose what you want to find – jewelry, coins, customize, all metals and relics. 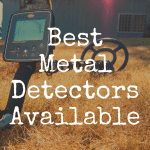 Priced at around $200, the Fisher F2 metal detector is a model that is packed with features you will want in your metal detector. It comes with a standard 8” coil that is water proof so you can easily use this detector on the beach. You can also change the coil whenever you need. One of the best features of the Fisher F2 is the huge LCD display that will show you what the object is and how deep you will have to dig to find it. All of the controls are touch pad, but they are easy to learn how to use. This is another option for anyone who wants a turn on and go metal detecting. This detector offers both visual and audio signals so you won’t miss anything you scan over. You can also pinpoint the exact location of your object, but the detector must be set in the discrimination mode. Each of these metal detectors offers options that you will want in your new detector. 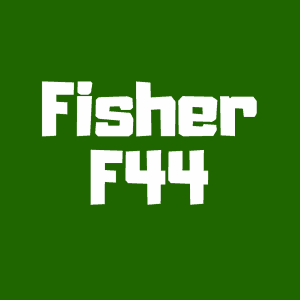 For the price, the Fisher F2 and the Garrett Ace 250 will give you more features that you might find you need after you have hunted several times. The discrimination feature is very important to anyone who doesn’t want to spend his or her time digging trash at every tone. If this article helped you at all, please “like” our brand new Discover Detecting Facebook page! 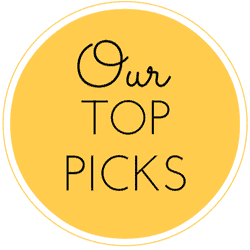 Be sure to return to Discover Detecting for more great reviews of metal detectors.